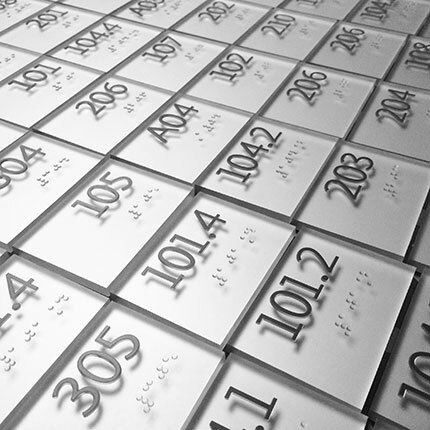 Unfinished etched muntz metal has its own striking raw beauty . 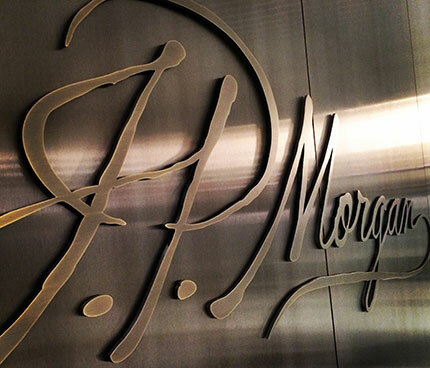 The sign shown was part of a large project for a major bank’s prestigious NYC headquarters. 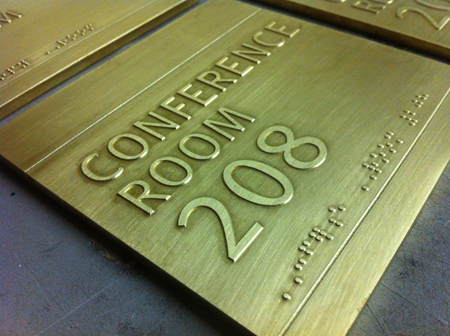 Hundreds of these etched braille/tactile room signs were manufactured and prior to hand application of a dark oxidized antique finish, each plate received a fine decorative engraved line that ran the width of the plate.